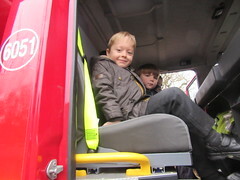 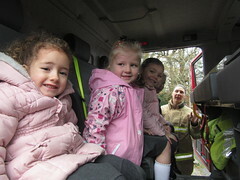 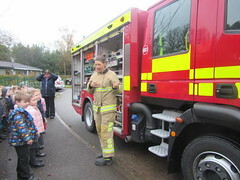 We had a fire engine visit us on Monday from the local fire station. 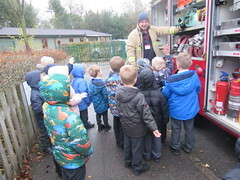 Fire Fighters Paige and Dan showed us around the engine and explained what they have to carry and why. 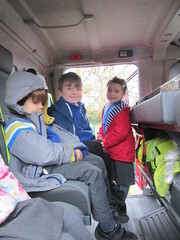 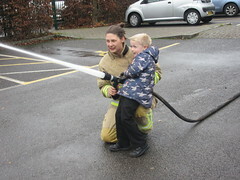 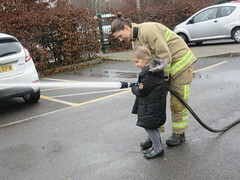 We were allowed to climb in the engine and sit in the back seats and then we used the hoses to clean Pre School’s cars! 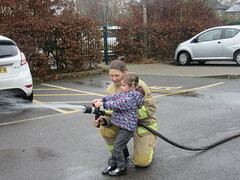 It was great fun and we took a photo of us suing the hose home to show what we had been up to.